The Greatest Love Of All - Lasttix. Be first in line for last minute tickets. 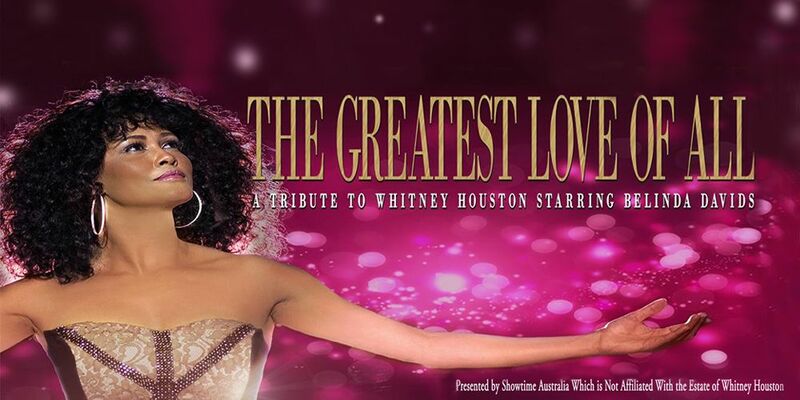 Whitney Houston’s musical legacy is brought to life in this critically acclaimed tribute show described as “mind-blowingly spot on”. Be stunned by the breathtaking vocals of Belinda Davids, a RiSA chart-topping artist in her home country of South Africa, who has performed alongside the likes of Keri Hilson, Keyshia Cole and Monica, and was featured on Fox TV’s Showtime at the Apollo and BBC1 TV’s Even Better Than the Real Thing. The Greatest Love of All has already wowed audiences across the UK, Europe, Middle East, Asia, South Africa, Australia and New Zealand, and continues to gather glowing reviews worldwide.